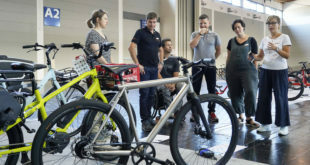 According to the latest figures from the Zweirad-Industrie-Verband – Germany’s bicycle industry association ­– bicycle sales in Germany rose by seven per cent in 2016 to 2.6 billion Euros. Once again, electrically assisted bicycles such as e-bikes and pedelecs were the main contributing factor in sales growth with a total of 605,000 units sold – a 13 per cent increase over the previous year’s sales volume. 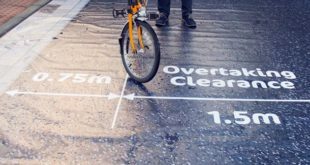 New statistics concerning cycling behaviour and bicycle sales in Germany also show signs that underline a need to intensify efforts to promote cycling as a means of transportation. According to the latest figures released by a mobility panel commissioned annually by the Federal Ministry of Transport and Digital Infrastructure, everyday bicycle use in Germany has declined; the share of residents’ journeys made by bicycle dropped from 13.2 per cent in 2014 to 11.8 per cent in 2015. This comes with the news that motorised vehicle use has slightly risen. The bicycle market’s total value continues to reach new heights, says the report; this is due to the increasing market share of high-priced e-bikes; the total number of units sold actually dropped in 2016 for the first time in years. Total bicycle sales in Germany declined by nearly seven per cent to 4,050,000 units. The weakest 2016 sales performers identified by the ZIV were most of the non-electrical product categories; this particularly applies to city bikes, trekking bikes and mountain bikes. 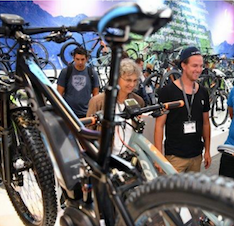 The largest majority of e-bikes sold were in the more traditional city and trekking categories, with a 45 per cent share and a 35 per cent share of e-bike sales volumes respectively. E-mountain bikes rapidly increased their share of e-bike sales volumes to 15 per cent in 2016, whilst roughly one in 40 e-bikes sold in Germany is an electrically powered cargo bike.